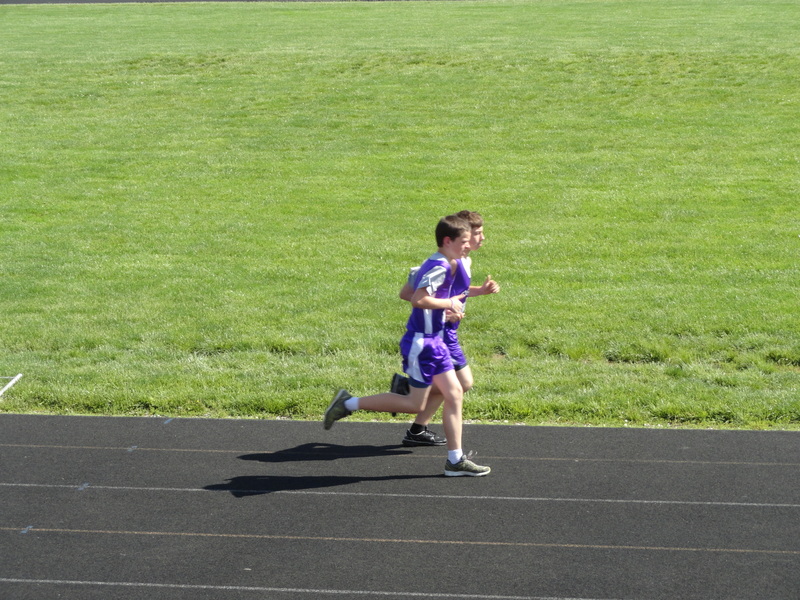 Yesterday afternoon, I went to my oldest son, Devin’s, track meet. I would love to say that I am a runner and can completely identify with each of the runners out there. However, the only time I really run is if I am being chased or on Black Friday, in order to get the great deals. Seriously, I have tried several times to get started in running, but I seem to lose steam somewhere after getting the super cute shoes and putting them into action. Even though I am not an athletic runner, I am still running a race. It talks about running the race in Hebrews, “Therefore, since we are surrounded by such a great cloud of witnesses, let us throw off everything that hinders and the sin that so easily entangles. And let us run with perseverance the race marked out for us” (Hebrews 12:1). Similar to a track meet, the course or event is not the same for everyone. God has hand selected the course to complement our strengths, the same way a coach does in track. The verse in Hebrews also talks about a great cloud of witnesses. If you have ever been to a track meet, or any sporting event, you can identify with this. There are several proud parents and fans lining the bleachers to cheer on their favorite runners. As Christians, we also have a cheering section both seen and unseen. The next part of the verse talks about laying aside what holds us back. If you have not been to a track meet, I am certain you have seen at least one runner in your life. Have you ever seen someone in competition running with a parka, snowboots or leg weights? The answer would be probably not, that is because runners want to run in lightweight clothing and shoes to reduce the drag and their overall time. The same thing is true for you and I. We cannot adequately run the race in this life, if we have not let go of the things from the past. It is like trying to run with a packed suitcase. It just does not make sense. Not only are we, as Christians, to run the race that is set before us, but in First Corinthians is talks about how we are to run, “Do you not know that in a race all the runners run, but only one gets the prize? Run in such a way as to get the prize” (I Corinthians 9:24). The prize, whether it is a trophy or ribbon, is not the most important thing. It is finishing the race that is set before us strong and not giving up. Several of the spectators at the meet yesterday kept shouting, “keep pushing” and “finish strong”. These are the same types of things that we need to not only hear, so we can remain steadfast, but also to cheer and encourage our fellow runners. I noticed that during the longer races, the various team members not participating would position themselves around the track and cheer on their teammate as he went past. This way the runner had encouragement to keep going and striving just that much harder. You and I need the same thing in our Christian lives. We need those cheerleaders and encouragers to motivate us to keep going. However, there is no reason that we cannot do the same thing for those around us. I challenge you this next week to keep running the race that God has set before you and not give up when things get tough. I would also encourage you to select a couple of people that God lays upon your heart to be their cheerleader this week. Keep pushing, so you can finish strong. ← Do you have hope? Visiting you from She Speaks/FB. Running is hard work. I’ve trained for a few 5k’s before, but I’m really struggling with being consistent. A friend shared a verse with me yesterday that definately cheered me on in the faith race. I am so glad that this was an encouragement to you. I pray for you to be able to be more consistent with your running. Hi my friend! Love this post. I love how you explained the details of this verse…thank you for encouraging me to keep running. Strapping on my cute shoes to join you as we run together! Thanks so much dear friend. You are such an encourager. I look forward to staying in contact with you as we run together.